Millions of Asset Tags and Asset Labels sold each year. AlumiGuard Metal Asset Tags outlast your equipment. Free shipping over $25. Guaranteed best prices. AssetTiger was added by megasmartcs in May 2018 and the latest update was made in Nov 2018. The list of alternatives was updated Oct 2018 There is a history of all activites on AssetTiger in our Activity Log. It's possible to update the information on AssetTiger or report it as discontinued, duplicated or spam. A web app with a clear equipment bookings focus, created to make equipment management fast, easy and enjoyable. Q Ware is web-based maintenance management software for facility managers who need a tailored and easy to use CMMS. A product of C&S Companies. Inventory management and asset tracking using QR codes and a smartphone. Define what you want to track, record and report via the web interface. Ramco offers post-modern and comprehensive Asset Management software on cloud integrated with financials & HCM in a unified platform. We provide a complete patented asset and inventory tracking solution that harnesses the power of smartphones, QR codes and cloud-based software. eMaint Enterprises, a leader in Computerized Maintenance Management Systems (CMMS) and Enterprise Asset Management systems (EAM). Alternatives to AssetTiger for Web, Windows, iPhone, Android, Mac and more. Filter by license to discover only free or Open Source alternatives. This list contains a total of 13 apps similar to AssetTiger. 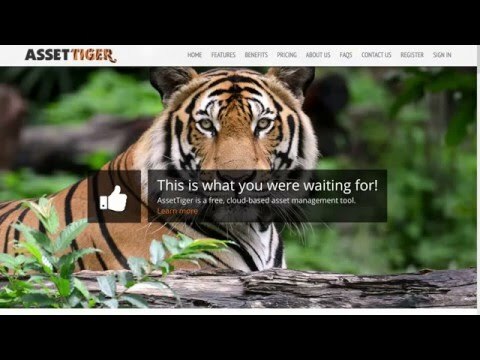 No reviews yet for AssetTiger, want to be first? Maybe you want to be the first to submit a comment about AssetTiger? Just click the button up to your right!